The theme for this month's Digital Dozen is Whimsy. Arrgh, I curse whoever came up with the Whimsy theme, it is impossible! 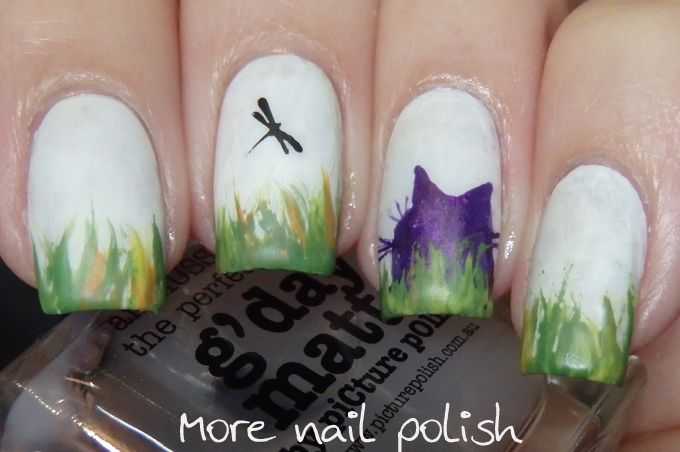 I've done lots of things to get some inspiration for this week's manis. First I googled the actual definition of Whimsy - 'playfully quaint or fanciful behaviour or humour'. What! How do I translate that to my nails. Next up I did a google image search on the word Whimsy. 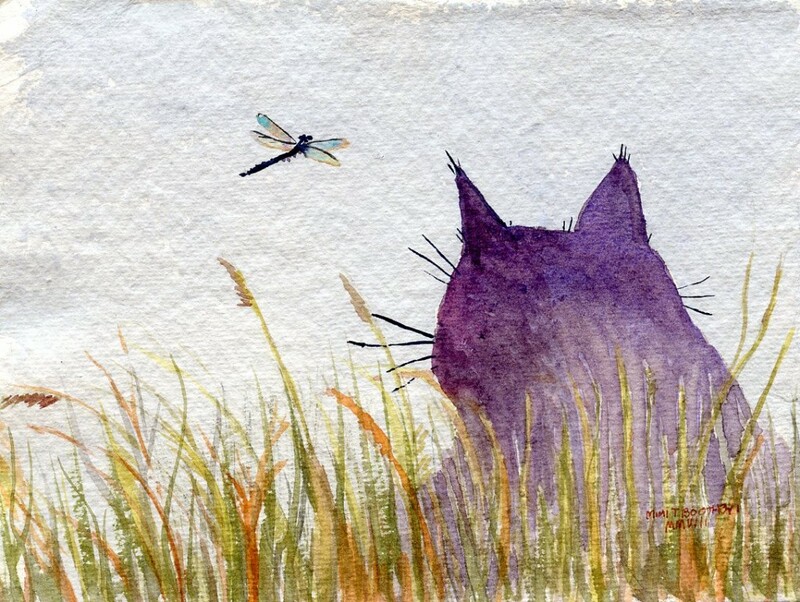 And there, as the second image on the google image result was this adorable watercolour picture, painted by Mimi Torchia. 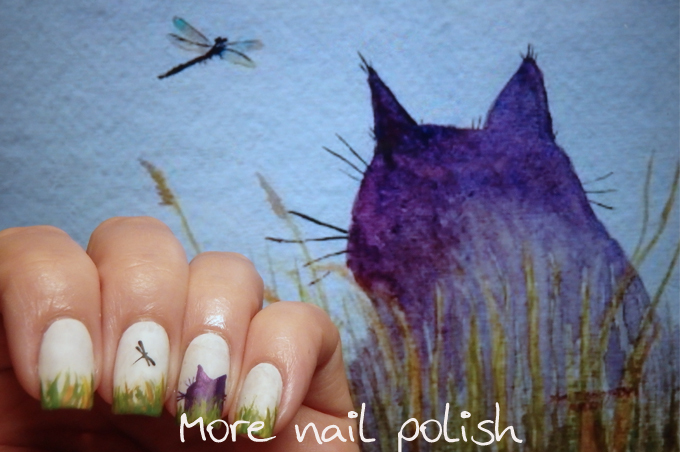 I was captivated by it and instantly knew what my first 'Whimsy' nail art design would be. 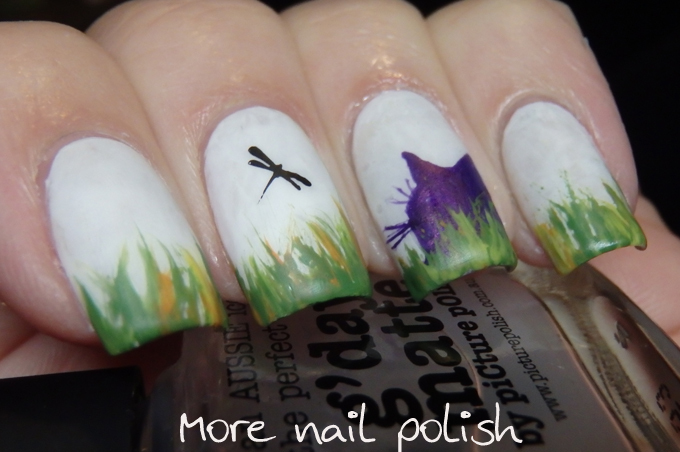 This is free hand painted using polish, except for the dragonfly, which is stamped from a Messy Mansion plate. This is going to be a tricky week! 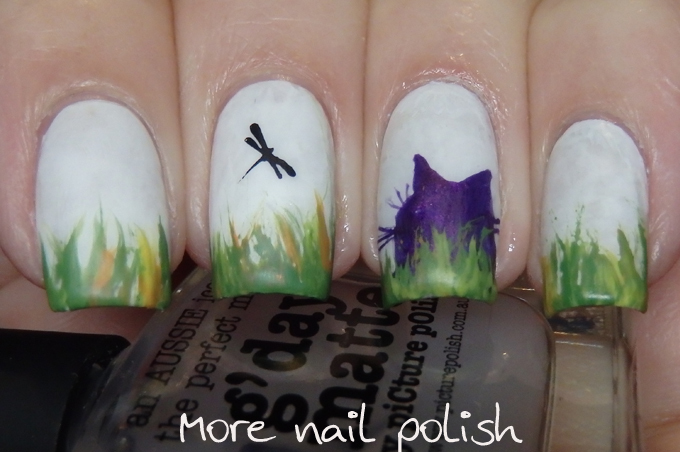 Had a good chuckle over the whimsy crisis...but onto the nails: These are fabulous!! No matter what the prompt. You captured your inspiration perfectly!! 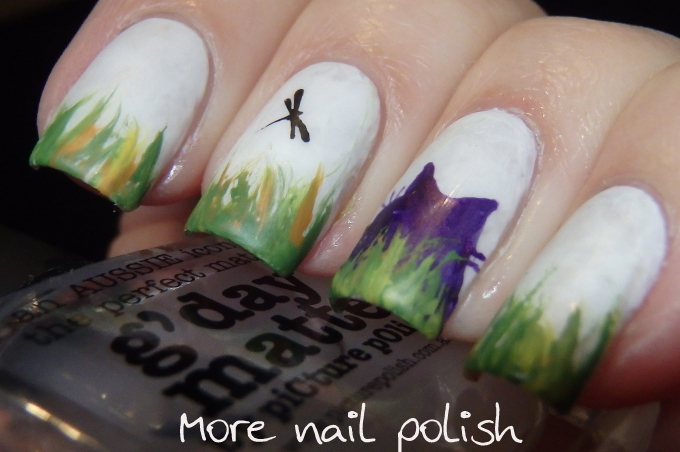 Very enjoyable nail art! !